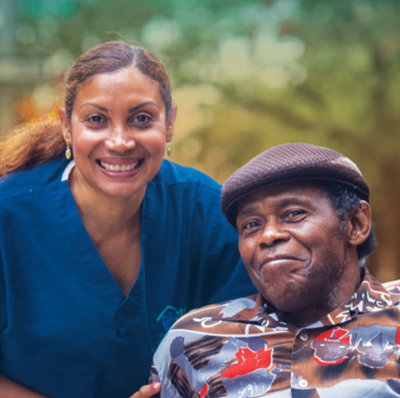 For nearly a decade, PHI provided research and policy analysis in support of extending wage and overtime protections to U.S. home care workers. Since 1974, the home care workforce had been unfairly exempted from protections under the Fair Labor Standards Act (FLSA). In December 2011, when the U.S. Department of Labor (DOL) announced its intent to rectify this injustice—citing PHI’s research more than 40 times in its original findings—PHI joined forces with several national organizations to ensure the rule change would be implemented. To advocate for this rule, PHI launched its “Campaign for Fair Pay,” a public education and online advocacy project that compiled leading advocacy resources in support of this rule. Additionally, in collaboration with its national partners, PHI hosted telebriefings and press conferences, issued original analysis on the potential impact of the rule, held meetings to solicit public input for the DOL, and met with federal leaders to discuss the rule’s merit. And we won. The DOL issued the historic rule in September 2013—and when opponents challenged it in court, delaying its implementation, PHI again lent its unique advocacy voice. Two years later, the new rule went into effect, and PHI began working with states to offer technical assistance on its implementation and to ensure proper enforcement. PHI continues to work with the DOL and with federal advocates to protect this rule from being reversed.